I just watched the new Direct Line advert featuring Harvey Keitel as ‘The Wolf’. The idea is simple, it’s a reference to a character in Pulp Fiction played by Keitel who solves problems. In the movie, the problem he solves is cleaning up is a dead guy whose head was accidentally shot in the back of a car. Direct Line want to say that they too can clean up any accident. But apart from simply stealing an idea that was relevant a decade ago, I’m not sure the advert really works. The Wolf is a criminal who cleans up mess for criminals so they don’t get caught. Is this really what Direct Line wants us to think about them? All I hear is ‘You need to go in the back seat and scoop up all those little pieces of brain and skull’. If you want to get art to the masses how do you do it? Billboards. “Wait a minute… What? 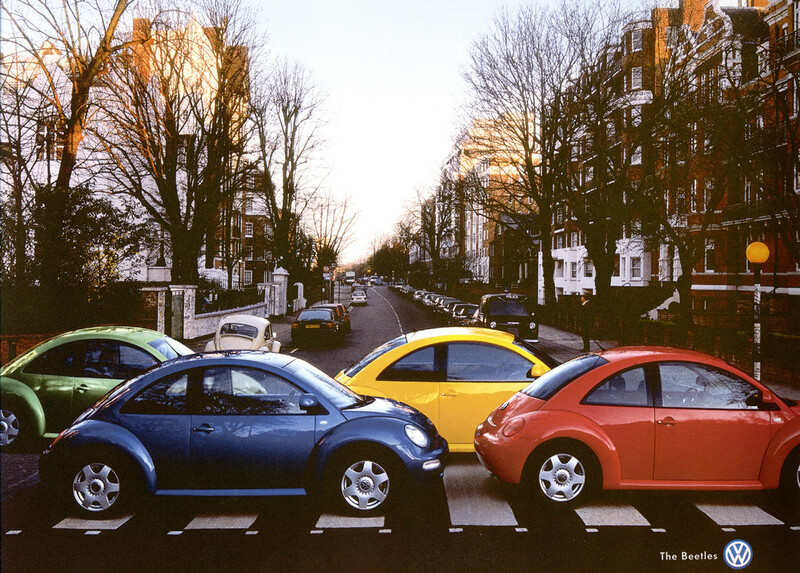 Put a car called the Beetle in the place of the musicians known as The Beatles. … I think that is the best idea I have ever heard”. “I think I might be the new Bill Bernbach”. Having signed on to NowTV to watch the test match between England and India, I’ve had the chance to catch up on some current ads (mainly for gambling sites). One which caught my eye for the wrong reasons was Dacia’s “You do the maths”. The message behind the advert is pretty obvious: Dacia is a cheap car. But I suspect that’s not what they asked for – especially as the ad is titled ‘The Amazing Value Dacia Sandero’. But my really issue with the ad is the tagline: “You do the maths”. But it’s wrong. The phrase is “You do the math”. That doesn’t translate cause in British English we say maths not math. But rather than risk a few complaints Dacia changed the line. This loses all impact. It’s like saying ‘Show me some money’ rather than ‘Show me THE money’.